A few photos taken in the Geraldton area before major works such as the Southern Transport Corridor project commence. The corridor will create a new line to the south of the City and will then see the removal of the existing line past the City's CBD and foreshore area. DA1573/P2012 load grain at Geraldton Port on 4 June 2003, the train will leave Narngulu yard (just out of Geraldton) later that evening heading for the Perth Metropolitan area. The silver wagons in the train consist are the newer XT type of grain wagon a type not normally seen in the Geraldton area. DA1571 loads a short grain train on 24 June 2003. 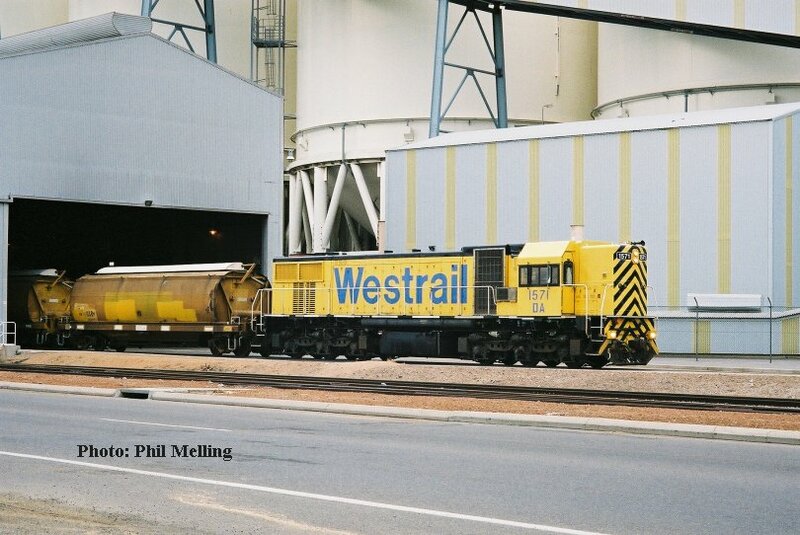 With a number of what is termed "out of zone" grain trains operating in the Geraldton area during 2003 has enabled the through working of a variety of locomotives, 5 of the 6 operating DA's being seen 1571 was the latest visitor. 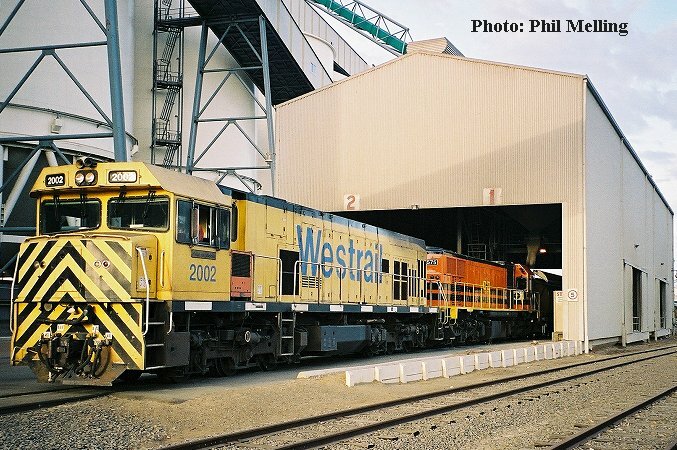 P2002/DA1575 loading grain at Geraldton Port on 27 March 2003. 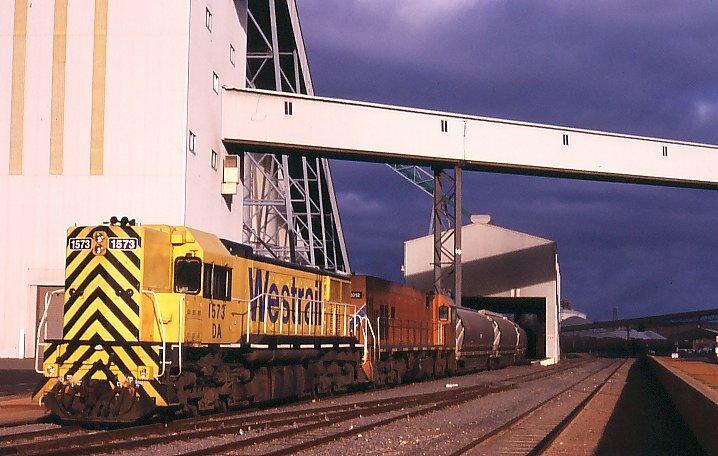 The grain will then be hauled to the Perth Metropolitan area. 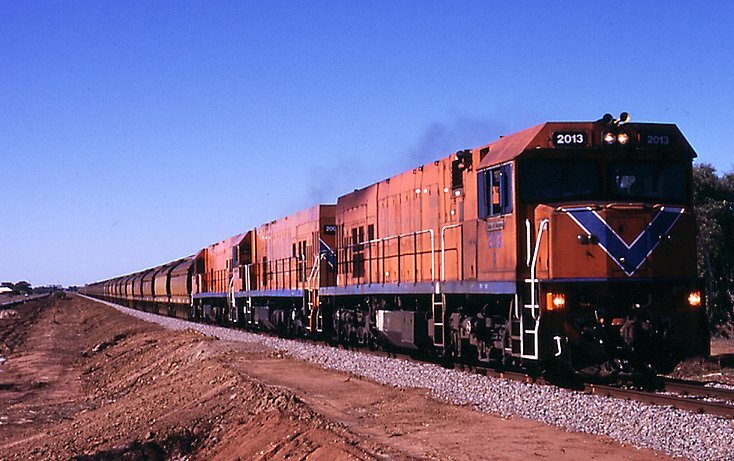 On the 10 May 2003, P2013/P2003/P2006 on a combined coal/grain train heading through Bootenal towards Narngulu.